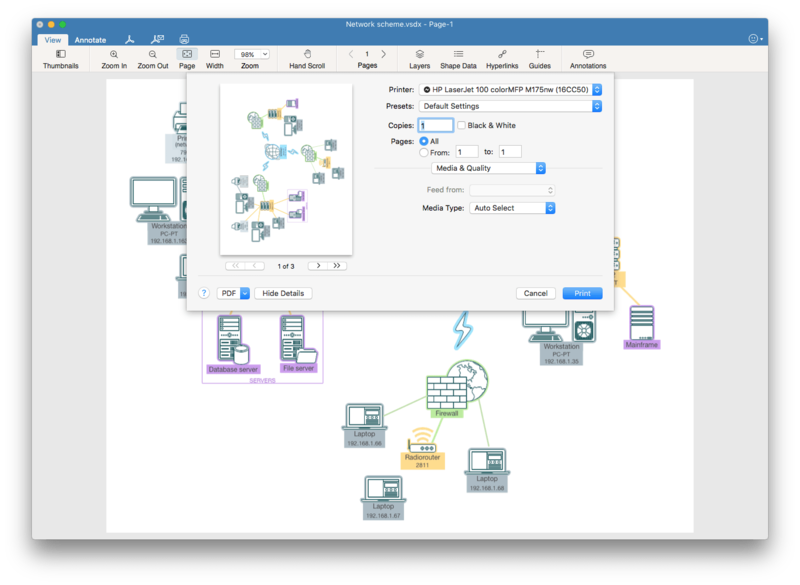 VSDX Annotator is also Visio® Converter. 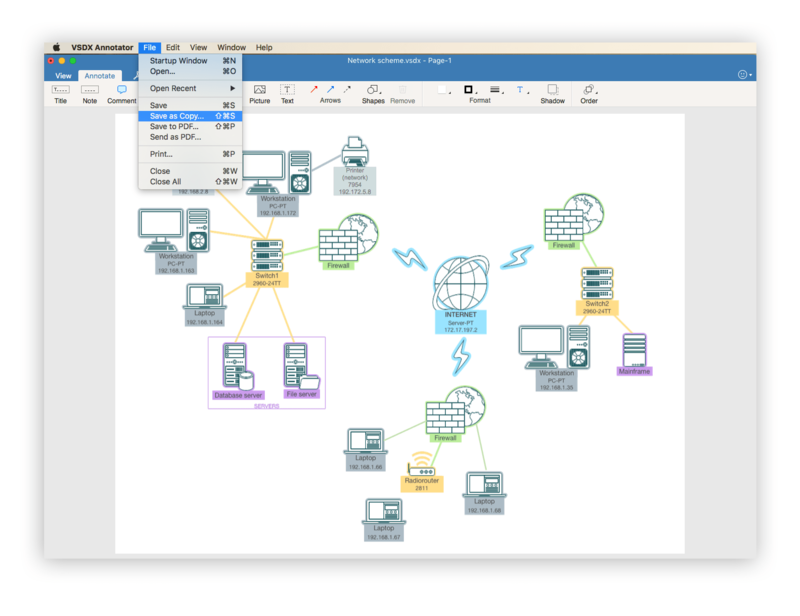 You can collaborate on Visio® drawings in a multiplatform environment and convert VSDX, VDX and VSDX files to most the common format, PDF. Click the appropriate button and choose a folder to save Visio® as PDF. 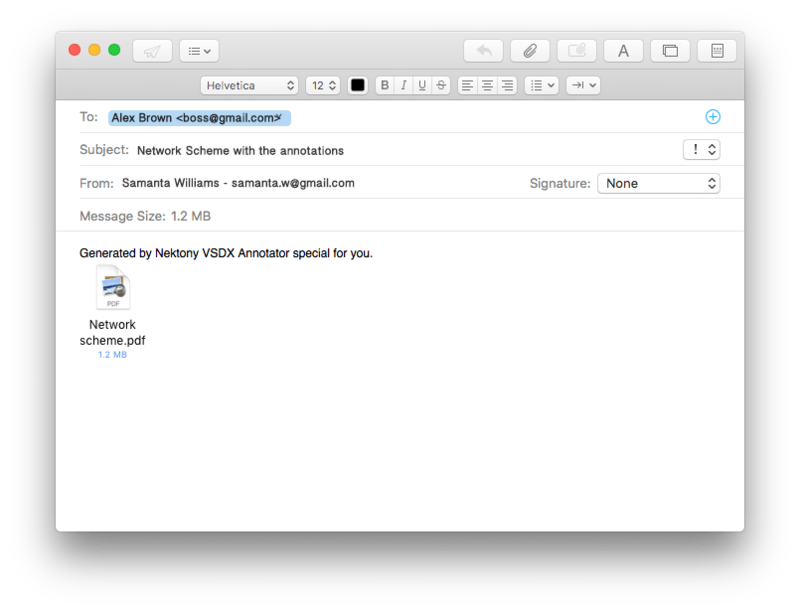 VSDX Annotator allows you to mail Visio® drawings to colleagues in just one click. Simply press the appropriate button and the app will attach the PDF file format of the drawing to your Mail window. To see Visio® drawing on paper just tap the “Print” button. It is possible to choose single pages to print. Note: wireless printing supported via AirPrint only. 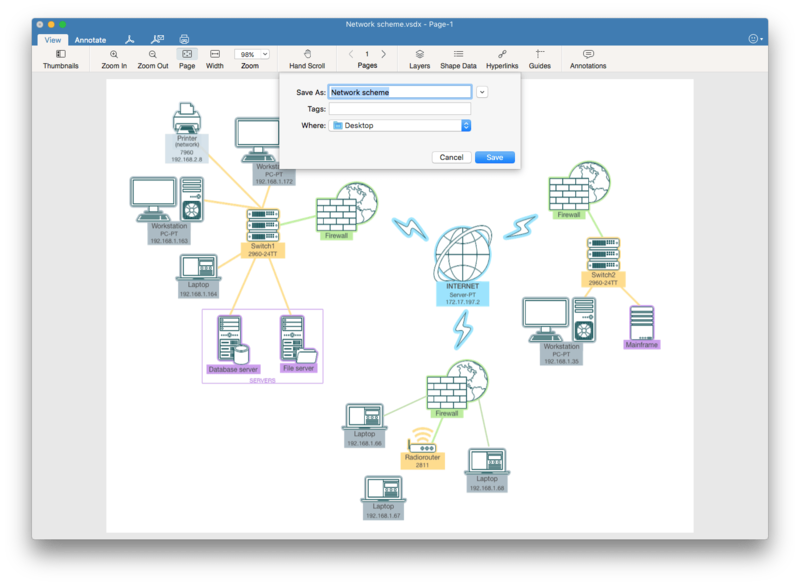 VSDX Annotator is an excellent Microsoft Visio® alternative for Mac users. It has an option to save the annotated .vsdx document back to .vsdx for further opening and editing in MS Visio®< diagramming application.